HoloLens looks to be gaining momentum. Microsoft seem invested in making the HoloLens more than a passing fancy in the eye of consumers. They have a number of development teams, both AAA and otherwise, working on making their new device something worth noticing. The Studio Manager of HoloLens, Daniel McCulloch, is the man leading the charge on the project. The studio “State of the Art” are currently working on the Mars experience project which is called “Onsight”. LXP is another HoloLens studio and they are focusing on building holographic creations through the new Windows Holographic. “Fit” is one of the studios that will grab the eye of gamers as they are working on Holobuilder getting Minecraft on the HoloLens, presumably working with Mojang to see it happen. “Good Science” is the next studio on the list and they are much less forthcoming with what they are doing, all we know is that they are working on “secret stuff”. What we do know is that Good Science were the creators of Xbox 360’s Kinect Fun Lab. While lacking any meaningful information, it’s also alleged that 343 and Turn 10, two of Microsoft’s heavy hitters, may well be working on a HoloLens project of their own. 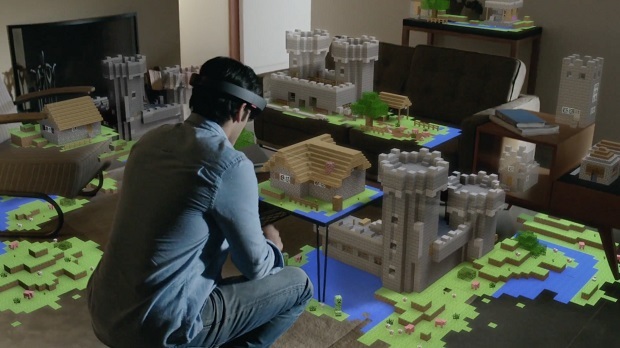 Who knows which studios will be seeing HoloLens action next. But who would you like to see working on it?